Winter is coming and we all are searching for the last rays of sunshine before it gets fully dark. It’s already hard to get out from the bed in the mornings, while it is still dark. Unfortunately, not everyone can afford an exotic holiday during the winter. However, there’s a solution for those people as well. Lucie are a popular brand in the UK and the Arabica SAD lamp is a popular choice. 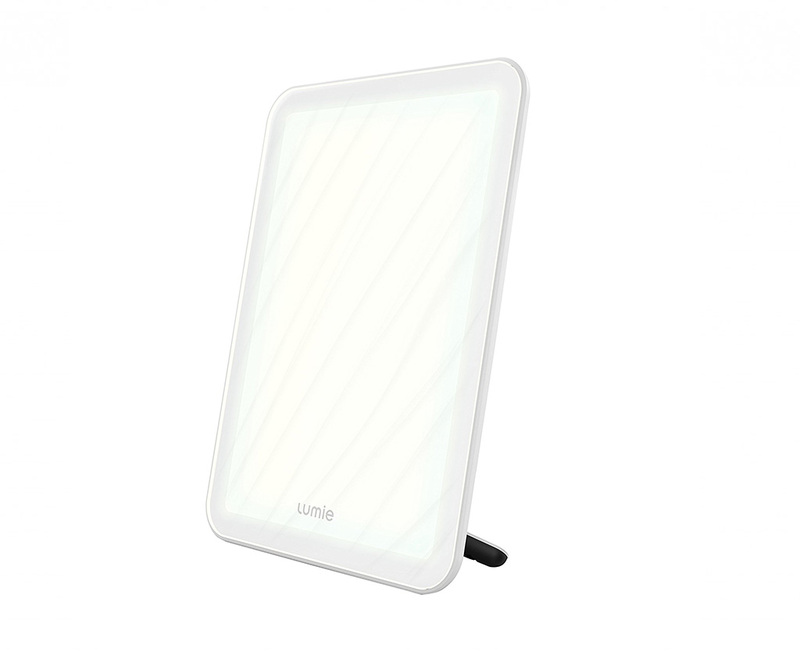 A 10,000 Lux light which is also a certified as a medical device, so you can be sure you’re getting a product that’s been specifically designed for light therapy use. Producing a very bright white light it is ideal for 60 minutes use at a distance of 50cm. A compact and mobile SAD lamp that is ideal for use on your desk at home or work. The compact size makes it easy to take with you, it has two settings to adjust the brightness of the two mini fluorescent tubes is uses. The portable and compact size gives it a lux of 1400 at 2.5cm or 6300 lux at a distance use of 7.5cm. This lamp will provide you with 10,000 LUX of light. You can use it as a SAD lamp, but if you’d like to stop light therapy, using a dimmer switch, you can get a normal, conventional design lamp in your home. It’s a great and aesthetic way to smuggle a bit of a sunshine to your home. This small and handy device will affect your brain with light through your ear canals. 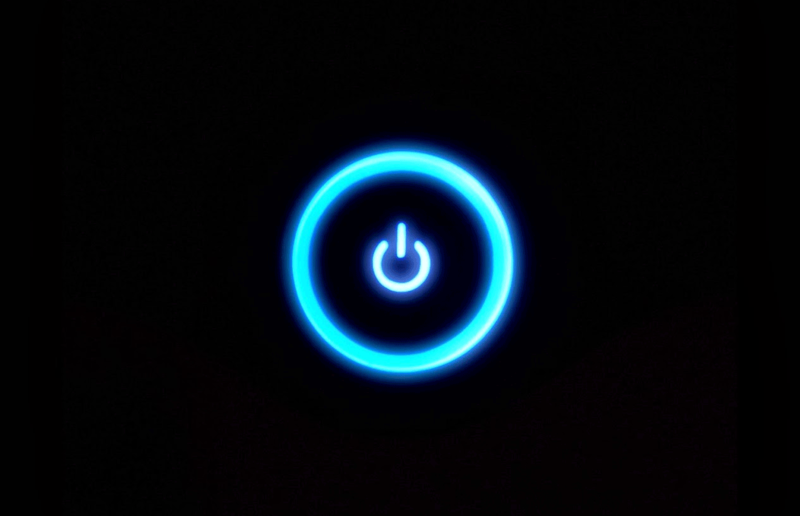 You will only need to use it 12 minutes a day to improve your energy level and mood. It is rechargeable, which means that you can use it everywhere, also while onthe way. Very smart. This lamp mimics the sunny sky with 1000 lux light. What else could balanceyour body clock better than the bright blue sky on the North Pole? Well, it emits a healing 17,000-Kelvin UV-free which is the same as you would get there.You can purchase it with a Sun touch aroma therapy capsule, to further boost your mood. 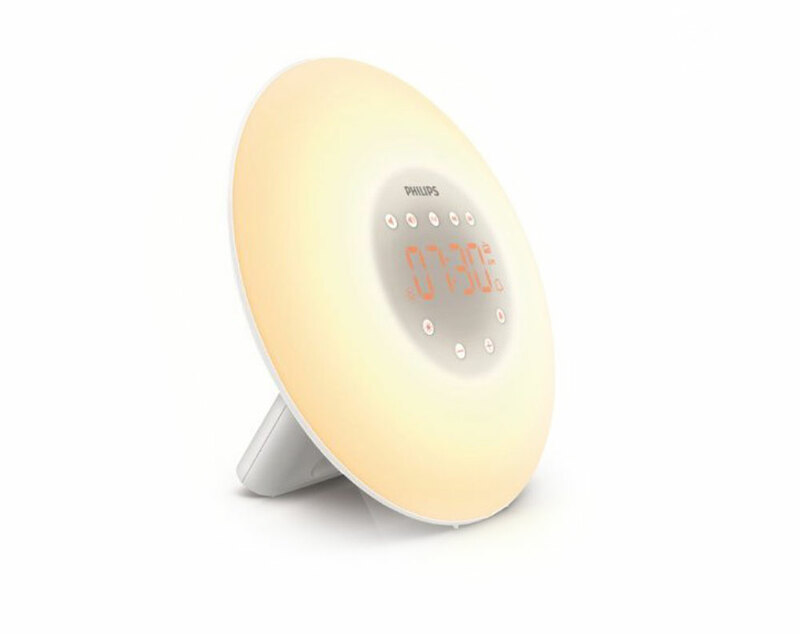 This wake-up light will help you get up in dark, winter mornings. It has the essential snoozing function as well which will ensure you to wake up on time. Its colour is bright yellow as the rising sunlight, and later on you can select from 10 brightness settings. 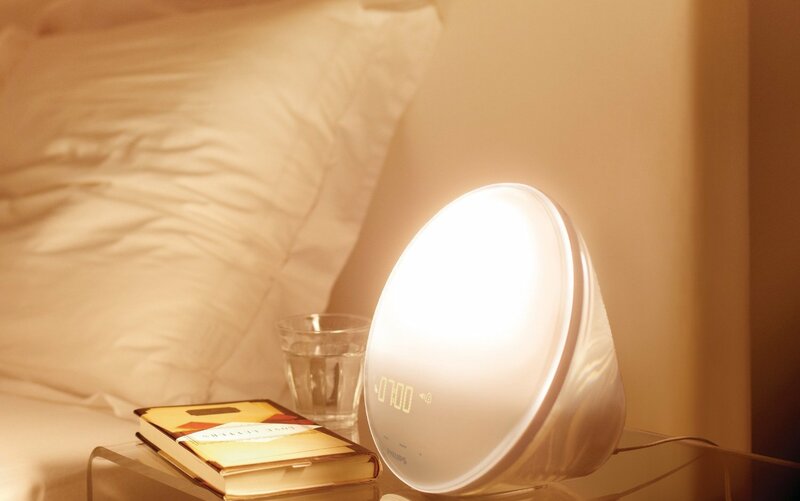 This wake-up lamp is similar to the previous one, but uses white colour light to wake you up in the dark mornings. It wakes you up with sunrise simulation, and gradually changes to daylight simulation. 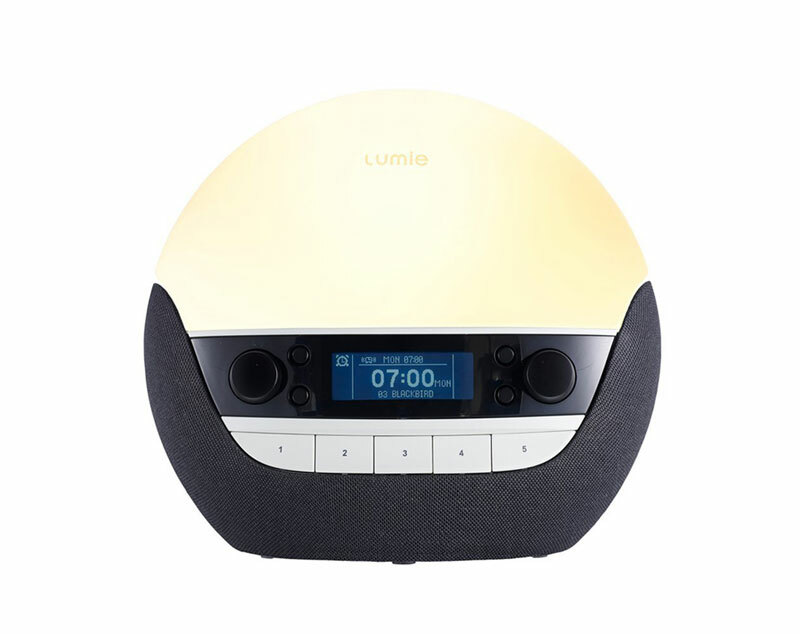 It is a bedside dim, and also have a calm sound to help you fall asleep. With its tap-to-snooze and radio function it really offers plenty of functions; it helps you going to bed and waking up as well. Brilliant. This lamp will help against energy dips, fatigue and winter blues by emitting blue bright light. It mimics natural light to keep you sharp throughout the winter as well. You will need to use it 20-30 minutes a day and you will feel the difference. It can be rechargeable, or used with a cord, so you can take it everywhere with yourself. With its space-saving design, this lamp is ideal for any homes, offices dormitory rooms, etc. It will enhance you mood with 10,000 LUX and 8” of Natural Spectrum Light Cues that is the recommended output level for improving energy levels. With its high standards it is UV and Flicker free thus protecting your eyes from damages. Great lamp to come over winter blues. This lamp mimics natural sunshine with 1000 lux of light. You can select the levels, so the strength of the light, and it is programmable with a 15, 30 and 45 minutes timer. What makes it great is that it is portable, so you can take it while travelling as well. Also, it is energy-efficient, working with LED that uses 7.2 Watts that is supposed to last for more than 20 years. That is a lot of sunshine! 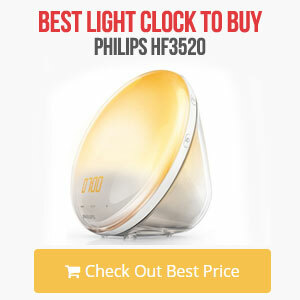 This lamp will help you with its 2500 lux of natural spectrum daylight. 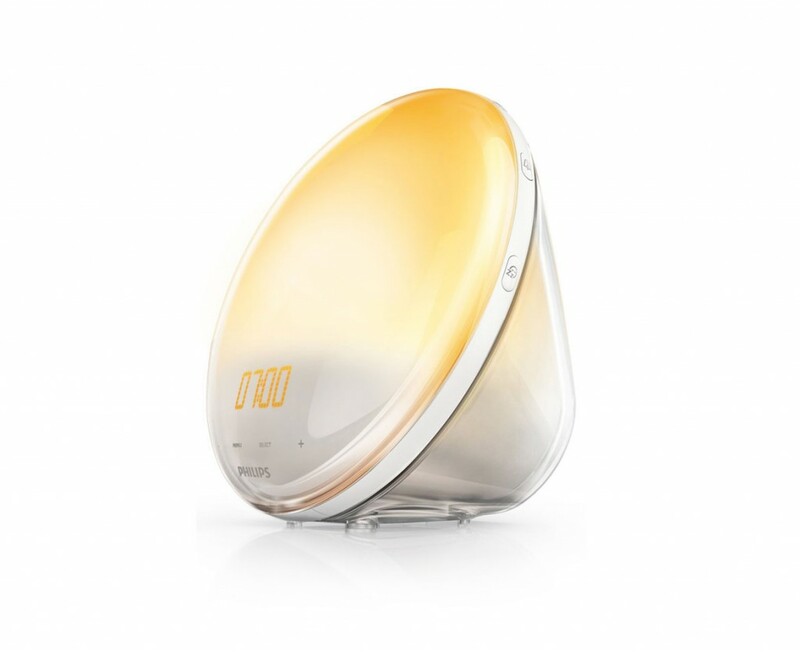 With its small size it provides ideal light therapy for homes offices or dorms as well. It’s efficient, energy saving bulb uses 26watts to produce 150 watt of natural spectrum light that will boost your energy level and mood. This SAD lamp with its rustic design will emit 10000 LUX of white light for ideal light therapy. While enjoying the sun, safety is very important, too. This lamp has glare-free diffusion screen that will block 99.3% of UV to protect your eyes from damage. 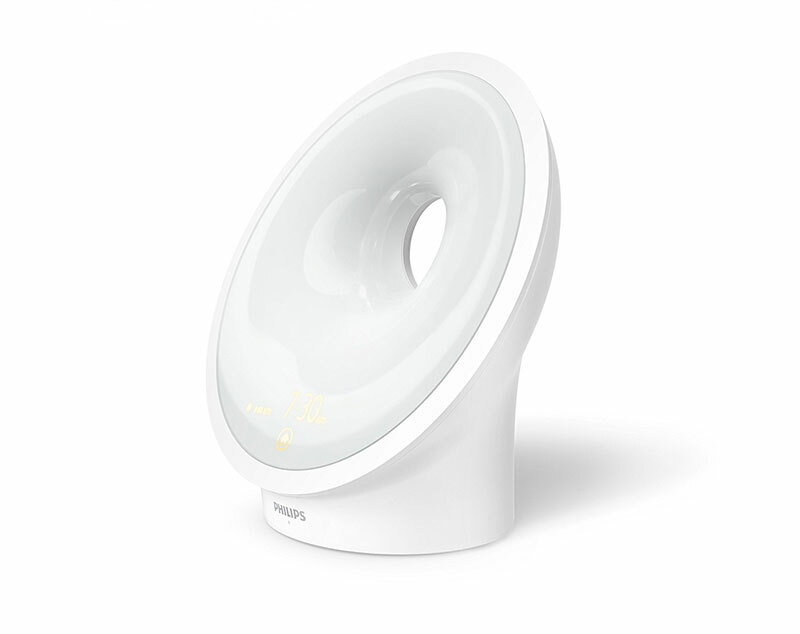 It meets the clinical requirements for effective light therapy. So this is definitely a safe and effective way to fight winter gloom.